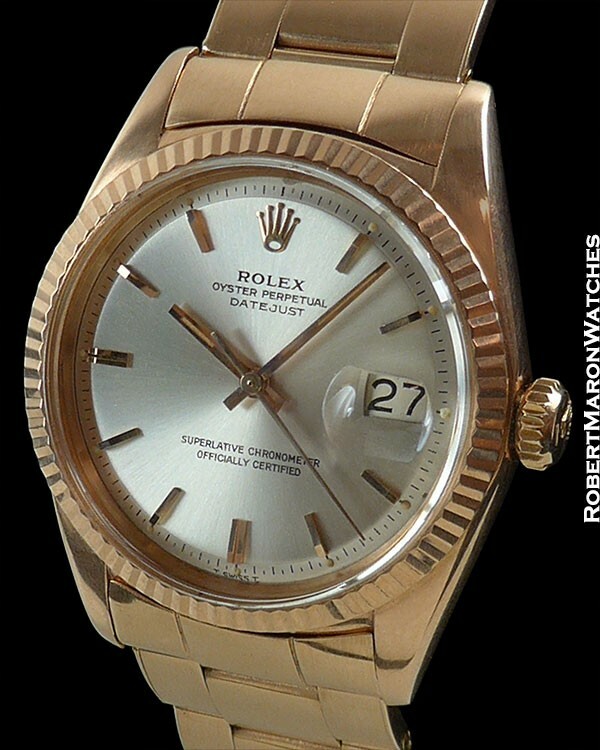 Rolex made very few 18k rose gold Datejust watches. Rose gold was mainly popular in South America. This particular Datejust was retailed by Serpico Y Laino, a famous jeweler and Caracas’s first authorized Rolex dealer. If you are not acquainted with the Serpico y Laino story, spend some time reading about it. The company was founded by two Italian immigrants in Venezuela at the start of the second world war. Original 18k rose gold case measures 36mm diameter by 12mm thick. The fluted bezel is crisp and clean. Crystal is plastic. Screw down crown operates perfectly. Case is in mint+ likely never polished condition. 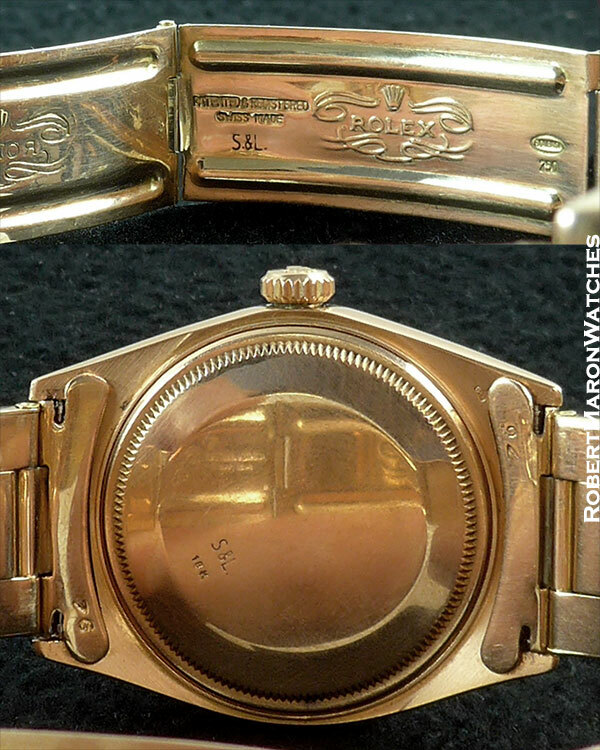 Serial number 1741XXX dates the watch to 1967. The case back and inside clasp are marked ‘S & L. 18k’ and ‘S. & L.’ respectively. Original untouched silver dial with radial sunburst brushing, with applied rose gold hour markers and hands. Date is displayed at 3 o’clock. Movement is the automatic winding Rolex Caliber 1570 with 26 jewels and adjusted to temperature and in 5 positions. In my opinion, the Rolex Caliber 15XX movements are the best serially manufactured automatic calibers from any manufacturer, ever. Movement is a C.O.S.C. Certified Chronometer and is in clean running condition. The 18k rose gold riveted Oyster bracelet will fit up to an 8 inch wrist and is in mint+ condition. 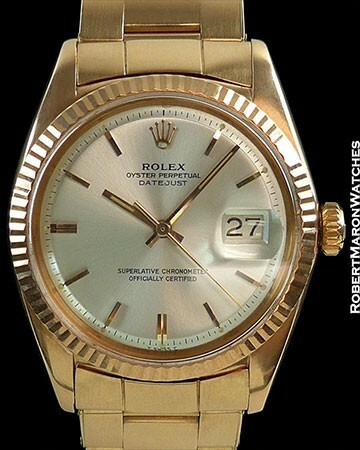 This is a must have rare vintage Rolex Datejust.